The ranking of outstanding enterprise in industry of China’s Plastic Auxiliary Equipment in 2016 has already been issued by China’s Plastic Machinery Industry Association, which formulated the “Top 25 Enterprises with Comprehensive Strength in the Manufacturing of China’s Plastic Auxiliary Equipment in 2016”, “Top 15 Enterprises in Industry of China’s Plastic Injection Molding Machine in 2016”, “Top 10 Enterprises in Industry of China’s Plastic Extruding Machine in 2016”, “Top 3 Enterprises in Industry of China’s Plastic Hollow Molding Machine in 2016”, and “Top 5 Enterprises in Industry of China’s Plastic Auxiliary Equipment and Fittings in 2016” through related department’s auditing, verifying and publication of documents submitted by the competitors. It is encouraged that Shini has achieved the 1st Top 5 Enterprise in industry ofChina’s Plastic Auxiliary Equipment this year. 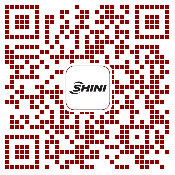 For last 2015, owing to the consistent supports and trusts for Shini products from a wide range of customers, as well as the unremitting efforts made by Shini members, as global renowned brand, Shini has been regarded as the China Famous Trade Mark by State Administration for Industry and Commerce. In this new year, Shini has made further progress which reached the 9th Top 25 Enterprises with Comprehensive Strength in the Manufacturing of China’s Plastic Auxiliary Equipment”, and the 1st Top 5 Auxiliary Equipment Enterprise. It not only achieves multiple strategic objectives set out by the Group, but also encourages Shini to take on its social responsibility.